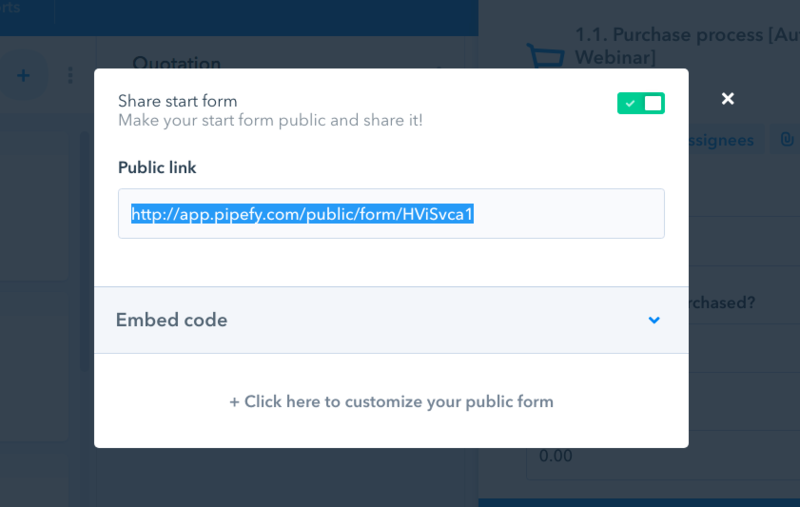 The public form feature makes it possible for users that are not members of your pipe (or even your company) to create cards in your pipes by publishing your pipe's start form. Making a form public is really easy, just follow the steps below. 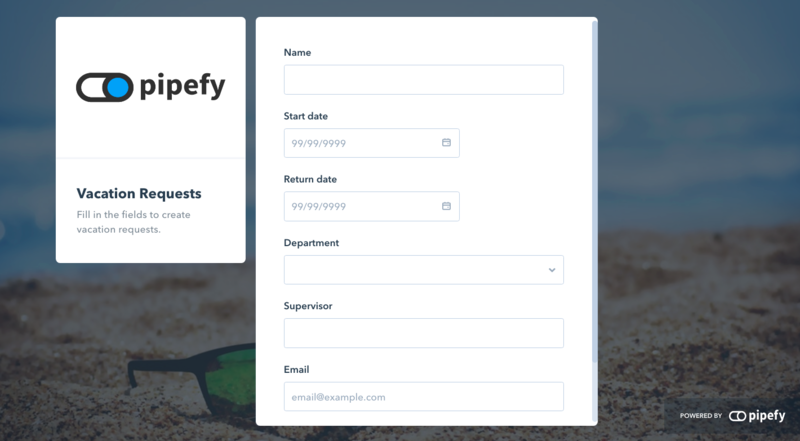 Pipefy Tip: Make your shared form look even better by exploring all the customization options Pipefy offers. Click here to learn more. How to unpublish a public form?